Business ventures with another person, be it a friend or a partner, don’t always work out. If this is the case, successful entrepreneurs know when to part ways. But just because you decide to go in another direction doesn’t mean things have to end badly, especially with a friend, says Branson. Handle any problems quickly and head-on, and end the relationship as amicably as possible. It is great to be tech-savvy, but don’t text or email when you should be calling. “The quality of business communications has become poorer in recent years as people avoid phone calls and face-to-face meetings, I can only assume, in some misguided quest for efficiency,” Branson says. Problems are more difficult to solve by text or email, and “there is nothing efficient about allowing a small problem to escalate,” says Branson, when it could have been easily addressed with a phone call. “Companies aren’t future-proof,” says Branson, and nothing lasts forever. An entrepreneur should be prepared to adapt, and avoid being nostalgic about the company itself. 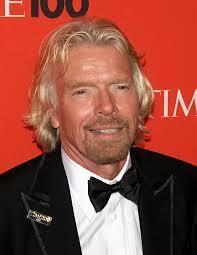 Branson sees the classic image of “the boss” as an anachronism. Being bossy is not a desirable trait in a manager, he says. A boss orders while a leader organizes. A good corporate leader is someone who doesn’t just execute his or her own ideas, but also inspires others to come forth with their own. No, he didn’t really say this but he should have.